Got the draft in me going baaaaack-to-back. Today we draft back-to-back stuff! Host Ian Karmel is joined by comedians Demi Adejuyigbe, David Gborie and Zak Toscani! Be sure to check out Demi's podcast Punch Up The Jam on the HeadGum network. You can listen to the episode Ian and Sean guested on here: headgum.com/punch-up-the-jam/016-escape-the-pina-colada-song-with-ian-karmel-and-sean-jordan. 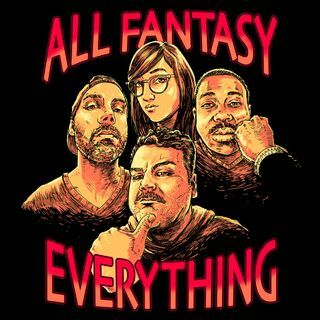 Join the All Fantasy Everything Patreon for ... See More exclusive mailbag and movie watch-a-longs episodes. Check it all out at www.patreon.com/AllFantasy.